The gospel about Lazarus is all about the identity of Jesus. 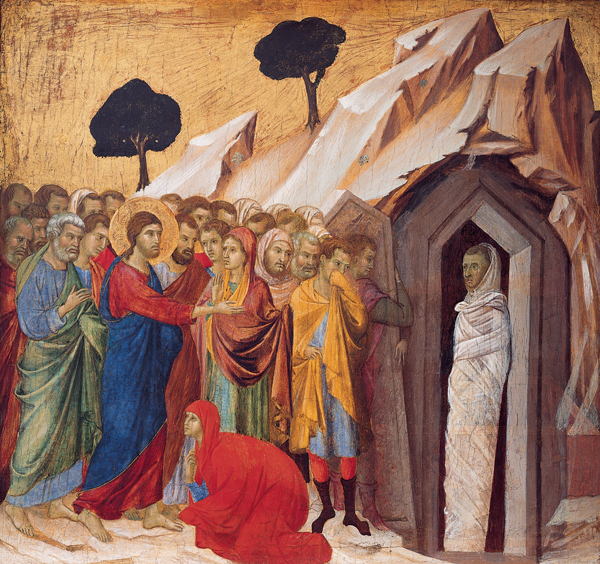 His love for Lazarus, Mary and Martha shows the depth of Jesus' humanity. Jesus' divinity shines forth through the words of Jesus: "I am the resurrection and the life." Before raising Lazarus from the dead, Jesus invokes his Father and thus testifies to his oneness with him in the unity of the Blessed Trinity.